Sleeps 4 with double beds to both bedrooms. Charter House is a new development converted from a once standard office block, into unique apartments in the heart of Milton Keynes City Centre. The main shopping centre, gyms, supermarkets, restaurants and café bars are just a short walk, whilst the main business districts are also on your doorstep meaning you will be conveniently located close to lots of leisure activities, as well as many business destinations. The main rail and bus stations are also less than a mile away giving quick and easy travel access. 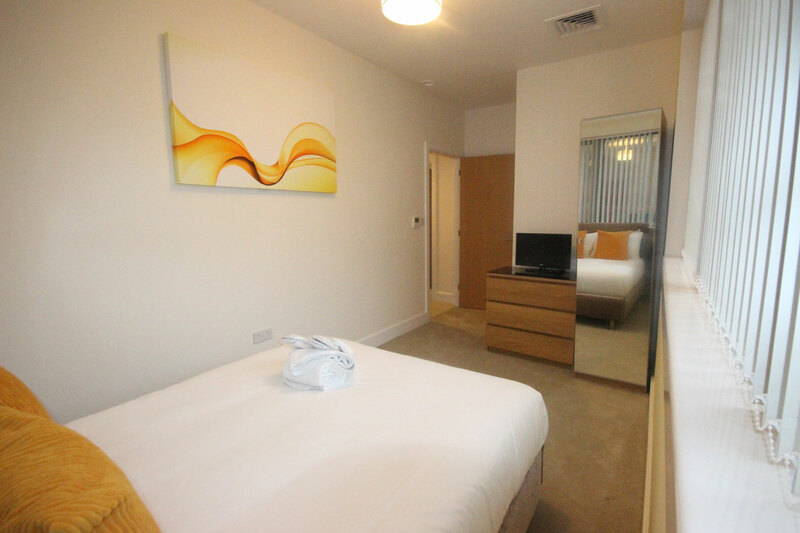 A Charter House serviced apartment Milton Keynes is ideal for group travellers, colleagues sharing, couples or small families. 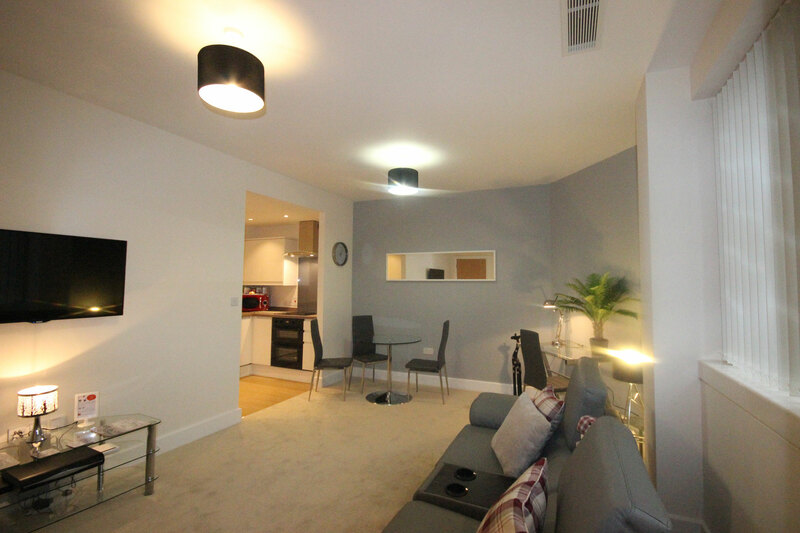 These two bedroom, 2 bathroom serviced apartments are perfectly located right in the Heart of the City Centre, across from the main shopping centre and close to restaurants/cafe bars, supermarket and transport links. Built to a high specification, these new apartments offer clean, modern living with exceptional fixtures & fittings including air-conditioning. To fit in with the contemporary life-style offered by these new, open-plan serviced apartments, they also feature a Smart, flat panel TV to both bedrooms as well as fully inclusive WiFi access and Sky television with Sports, F1 and movie channels. Secure parking with an allocated bay is also included. 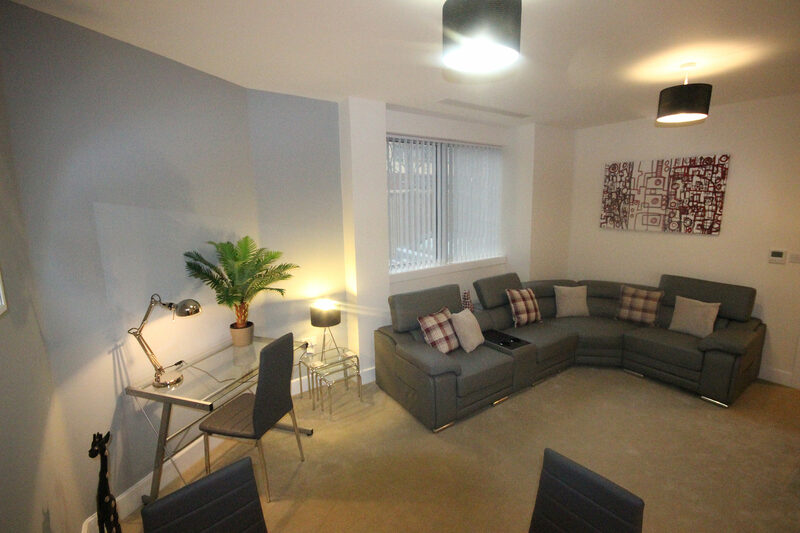 A Charter House apartment Milton Keynes is stylishly furnished throughout with large corner leather sofas, glass furniture and open plan living/dining area. 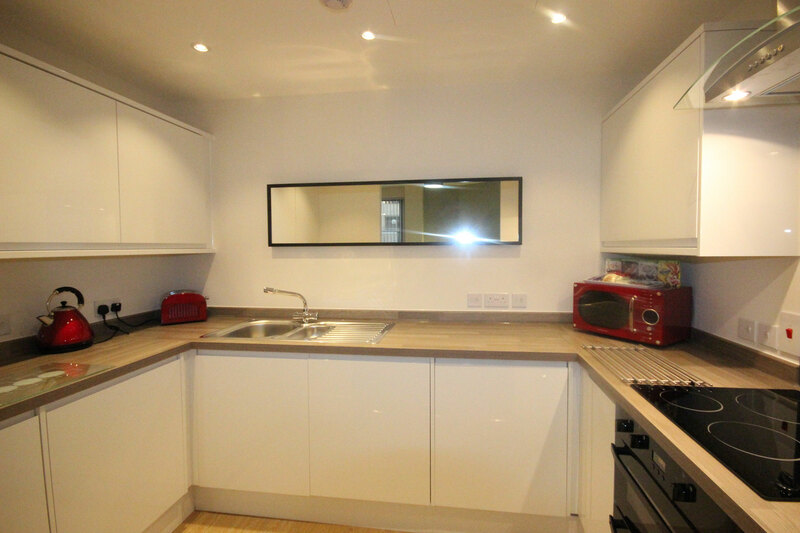 The kitchen is fully equipped with all the essentials complimented by white high gloss units and modern appliances, including dishwasher, oven/hob, toaster, microwave and kettle. 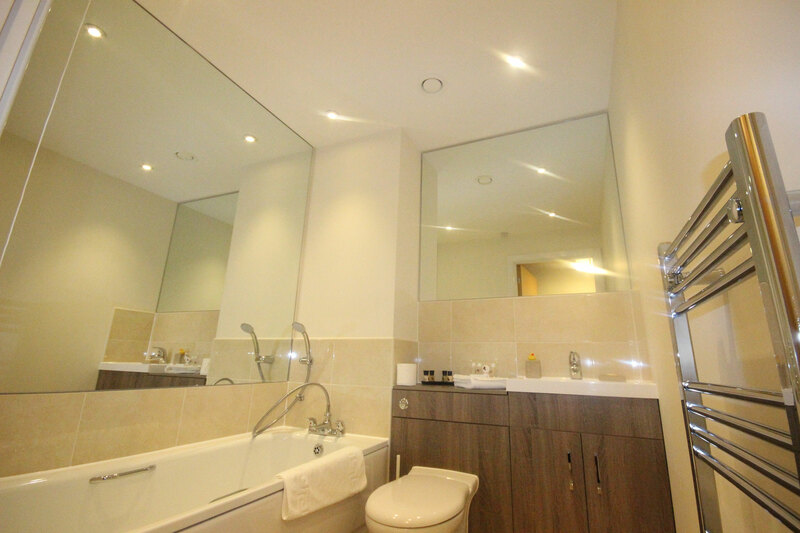 Both bathrooms are stylishly designed with a luxury feel and offer both bath and shower facilities.